Asian stock markets fell again but Europe steadied for a second day running as the UK government met to debate Prime Minister Theresa May's 500-page Brexit deal with Brussels on leaving the European Union. The governments of Austria and the Netherlands meantime asked Brussels to begin EU procedures against fellow member Italy over its planned 2019 budget deficit. That news saw Italy's borrowing costs blow out to a spread of 330 basis-points over comparable German Bund yields, back near last month's 5-year highs. 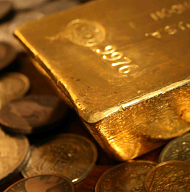 Euro gold prices touched new 3-week lows at €1063 per ounce while the EuroStoxx 600 equity index edged 0.1% higher. "Messy European politics, along with a [US] Fed which is set to remain on its tightening trajectory, have kept the Dollar index above 97," says a note from Canadian brokerage TD Securities, "which continues to add to downside pressure on gold, as we expected. "CTAs [Commodity Trading Advisers] have now pared back much of their record-setting shorts, [but] we suspect that a break below $1190 would prompt the [algorithmic traders] to once again increase their short positioning as downside momentum firms." "We think the Dollar's too high, it has to back off," counters John LaForge, head of real-asset strategy at US bank Wells Fargo's Investment Institute. 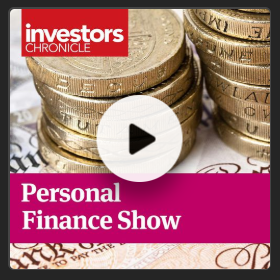 "[Moreover] when stockmarket corrections are in the 10-15% level...which is where we are now...investors go out and look for some sort of insurance, and they typically will buy gold, even on a bounce in stocks." 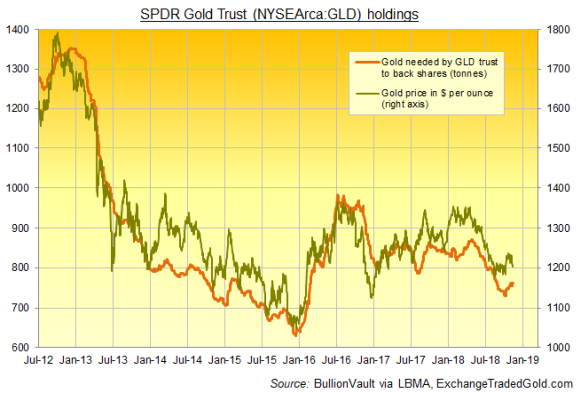 Tuesday's stabilization in US equities saw giant gold-backed ETF the SPDR Gold Trust (NYSEArca: GLD) – a major vehicle for US money managers to track the gold price – shrink just 0.1% in size. Since late-October's 3-month high in gold prices, the GLD has expanded by 1.8% in size, snapping its more typical pattern of growing or shrinking in size in line with the metal's price direction. The US stock market has meantime slipped 0.7%. With the S&P 500 index of listed US corporations rising 7.2% between July and September to reach its highest ever quarterly finish, the GLD's No.1 holder Fidelity Investments grew its position in the gold-backed ETF by 3.2%, regulator filings show. No.2 holder First Eagle – an independent investment firm running some $111bn for clients – expanded its GLD position by 16.8%, while Bridgewater Associates – the No.7 holder run by Ray Dalio with around $160bn of assets under management – kept its holdings in the gold ETF unchanged. First Eagle's GLD holdings ended Tuesday worth some $783m, and Bridgewater's $444m. "Gold is that one defensive area that when things get choppy [investors] do go to," LaForge at Wells Fargo told CNBC overnight. 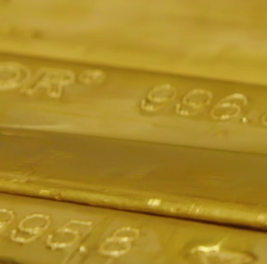 "When stocks find a bottom here, I think we will see people buy insurance, they'll buy gold." 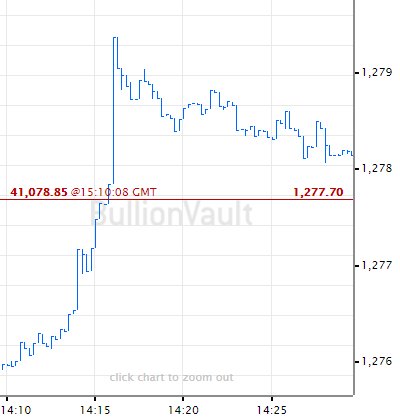 Gold prices in Shanghai on Wednesday meantime held a $6 premium per ounce to London quotes, offering an incentive for new bullion shipments into China – the No.1 gold miner, importer and consumer nation – some 25% below its 3-year average. The UK gold price in Pounds per ounce bounced 0.8% from yesterday's 5-week low of £922 as UK leader May today told Parliament she was "significantly closer" to reaching a Brexit deal with Brussels some 2.5 years after the narrow 'Leave' victory in 2016's referendum on quitting the European Union. Rumors on Wednesday said at least 2 members of May's team refuse the deal and will resign, and other so-called Brexiteer members of her Conservative Party have also said they will reject it. So will the opposition Labour Party, also despite not yet being allowed to read the proposal.